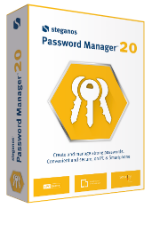 Steganos Password Manager 20 - Create and manage strong passwords! Create and manage strong passwords! Win one of the 10 licenses for Steganos Password Manager 20! Passwords are the keys to your digital life and the variety and quality of your personal passwords is crucial for online security. Trying to think up more and more passwords for your growing number of online accounts – and trying to remember them all – is virtually impossible. Steganos Password Manager 20 provides a comfortable solution: it generates extremely strong passwords, automatically inserts them on websites and remembers them so you don’t have to. You only have to remember one password! The program is available for $24.95, but the winners of our contest will get it for free. Can it add Roboform passwords ?